If any city is likely to earn the title “3D Printing Capital of the World,” it’s Dubai – and that’s exactly their goal. The city-state intends to become the global leader in 3D printing by 2030, and they’ve laid out a comprehensive plan to do so. The Dubai 3D Printing Strategy is the official name of the initiative that municipal leaders have outlined for the purpose of turning the city into the center of 3D printing for the entire world, and if that sounds ambitious, it is – but they’re already well on their way to achieving it. The three main focus areas of the Dubai 3D Printing Strategy are construction, medical products, and consumer products. So far, it seems as though the most progress has been made in construction; in May, Dubai opened the first fully 3D printed, fully functional office building in the world – a structure that had taken a mere 17 days to print and two days to install. By 2030, Dubai’s leaders say, they want a quarter of the city’s buildings to be 3D printed, and now they’re in the process of setting up a framework of rules and regulations for the implementation of 3D printed buildings. According to Abdulla Raffia, Dubai’s Assistant Director-General for Engineering and Planning and a member of the committee for implementing 3D printing in the construction sector, surveys and research have been conducted into best practices in the field, and valuable feedback has been obtained from companies and organizations with experience in construction and 3D printing. Next will be a series of workshops to discuss the practicalities of putting the technology to use. The municipality leaders re-emphasized the benefits that 3D printing will offer the city, particularly in construction: reduced construction time, less material waste, and less manpower required, meaning that labor can be redirected towards other projects. It’s a completely new approach to building, which means that entirely new regulations and legislation must be laid down to streamline and organize the projects that will be springing up out of the initiative. According to Khalid Saleh Al Mullah, director of Dubai’s Building Department, the city’s groundbreaking approach to construction will have a major impact on the industry. 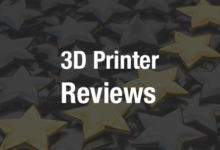 In addition to designing regulations for 3D printing, Dubai has also introduced a rating system for green building technology that will categorize all new structures as either platinum, gold, silver or bronze according to how well they meet standards of sustainability. All buildings must meet at least bronze standards in order to be given permits. The program has been named “Al Safat,” after the Arabic term for date palm fronds, which were traditionally used as roofing materials to keep buildings cool, and will be implemented as part of the city’s plan to become the cleanest, greenest city in the world by 2050. Dubai has large goals indeed, and the two major ones – to lead the world in sustainability and in 3D printing – go hand in hand, as has already been shown through its solar park, featuring 3D printed laboratories, and its 3D printed solar-powered “Smart Palm” technology hubs. The city’s leaders are very serious about creating the stand-out city of the 21st century, and it’s fascinating to watch the pieces fall into place, a few at a time, as they push forward towards their goals. What do you think of Dubai’s progress so far? 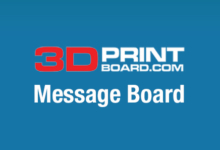 Let’s discuss over in the Dubai 3D Printing Rules and Regs forum over at 3DPB.com.